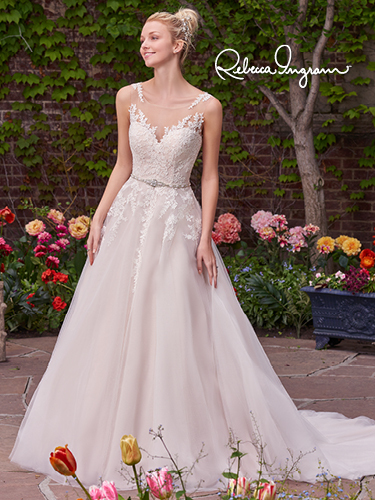 We are very excited to have received our first delivery of Rebecca Ingram bridal gowns in our Clitheroe boutique, a new Maggie Sottero Designs line of high-quality wedding gowns inspired by today’s value-conscious bride! 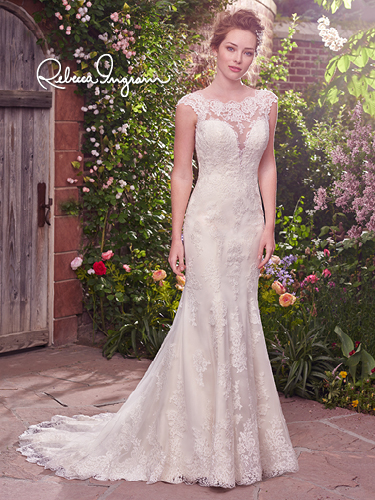 Not only will the Olivia Collection capture your attention with charming details, understated embellishments, and subtle illusion necklines and backs, you won’t be able to resist its attainability, with all dresses priced below £1200. 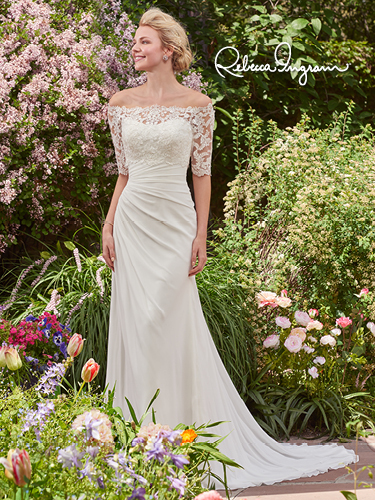 We hope you enjoy the first look at this fabulous new collection as much as we do. 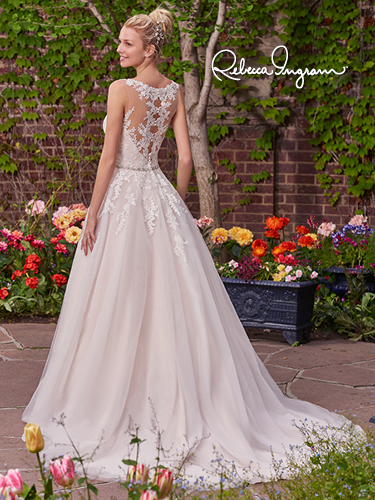 Flirty lace appliqués cascade down this sheath gown, featuring an illusion plunging sweetheart-neckline, open back with illusion lace trim, and scalloped lace hemline. Finished with covered buttons over zipper closure. 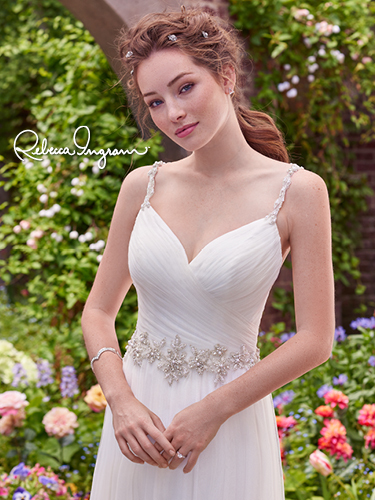 This classic Aurora chiffon A-line features asymmetrical pleating and a subtle scoop neckline. 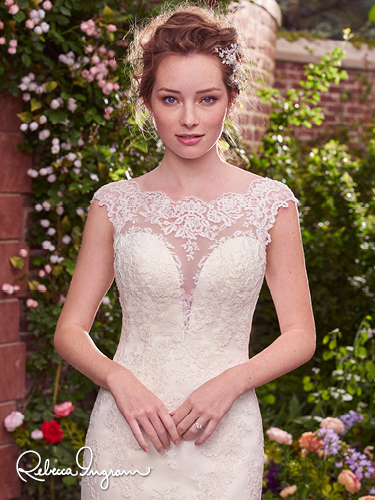 Finished with a corset closure for an ultra-flattering fit. Off-the-shoulder lace jacket with elbow-length sleeves sold separately (Darlene). 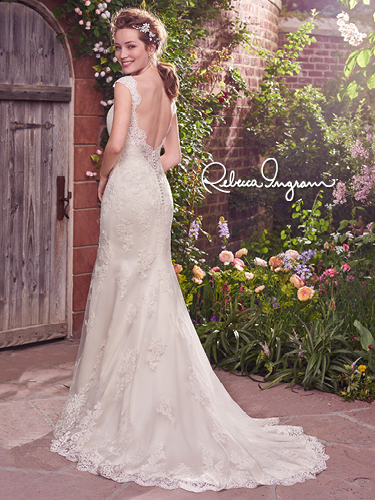 The inaugural Olivia Collection is all about flattering, timeless, romantic gowns with charming details, understated embellishments and ruching, subtle illusion necklines and backs. 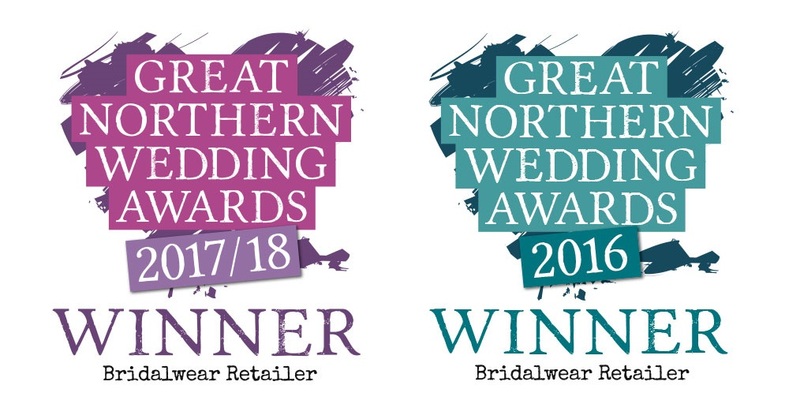 To make an appointment to view and try the collection please call us at the Clitheroe boutique on 01200 442929 or email us on info@ameliasbrides.com.